Xi Jinping. President for life. I met Xiao Zhang many years ago when she was a PhD student at a Medical University. It was my job to teach her class how to write up their research in a way that would increase their chances of having it published in a Western journal. Her family was not well off, and she lived with them in straitened circumstances in a 1950s Russian style block of apartments adjacent to the campus. Xiao Zhang was her extended family’s hope for the future. It would be her responsibility to lift them out of poverty and into a more prosperous middle-class. Her goal was to graduate with a PhD and then apply for a higher paid job in a good hospital. Typically, she did not see this family expectation as a burden. When I visited her humble digs, I noticed a disintegrating chipboard desk with a list to starboard. A length of packing-case pine nailed to its hind legs kept it upright. An old computer with an erratic internet service competed for space on the desktop with a keyboard and a scatter of tattered manila folders. This was where Doctor Zhang wrote her paper on epilepsy which was published in a European medical journal. This was where she earned her PhD. We had kept in touch over the years. She got that good job; did postdoctoral studies in Europe; and in time, secured a leadership position in her department. A career trajectory typical of those of her generation who worked so hard to raise their socio-economic status. These days she drives a BMW, lives in a nice apartment, and has holidays abroad. She and her family have benefited from China’s rise. We met for lunch near her hospital. Time to relax and talk about my life back in Australia and her life here in modern China. But Chinese politics intruded. A sensitive matter if raised by a ‘waiguoren’ (foreigner), but a welcome topic if volunteered by a local. 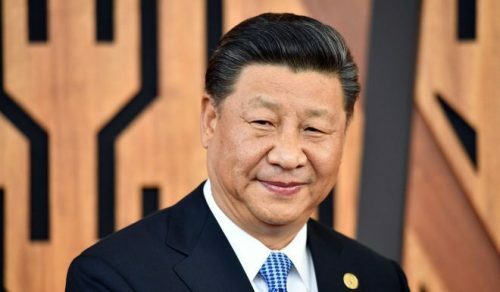 Within minutes Xiao Zhang was criticising President Xi Jinping who, after being appointed leader in 2012, had raised hopes for a more open society. In fact, for the first couple of years he was affectionately known as ‘Xi Dada’ (Big Brother), a term implying respect, trust, and duty to family. But today, the official title and the affectionate honorific are missing. Now it is plain Xi Jinping. Why the loss of respect? Here’s a shortlist: Xi Jinping has quashed dissent; punished academics who dared to criticise; and denied overseas medical care for a dying dissident – Nobel laureate Liu Xiao Bo. 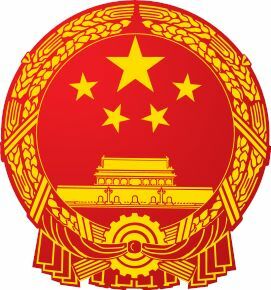 He has cocooned Chinese citizens behind the Great China Firewall; inhibited the development of a civil society; and placed Communist Party overseers in every corporation (including hospitals and universities). Finally, he had himself declared President for Life – a political elevation cynically engineered behind the scenes without warning or discussion. Her harshest criticism however, was reserved for corrupt companies which sold poisoned milk causing kidney damage in babies a decade ago, and which continue to take advantage of the government’s lax regulation of food and drug safety today. In particular, the pharmaceutical industry which has been caught supplying useless vaccines for China’s children. She blamed Xi Jinping for not doing enough to protect Chinese people from these criminals. Further, Xiao Zhang thinks that the economy is not as healthy as the Party says it is. This begs the question: could it be that Xi Jinping has been tightening the screws because he knows that trouble is coming? I ask if she would give up and emigrate (as other friends have done). No, she cares for her country. She believes that her countrymen are ‘slowly awakening’ and will persist in advocationg quietly for change. Although she acknowledges that her generation may not benefit, she hopes for a better life and society for her daughter’s generation. So this unsung ‘yingxiong’ (hero) will soldier on. It won’t be easy for her though, and she must be careful. 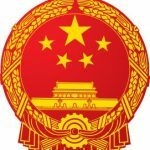 Recently, a colleague who had criticised government policy online was invited to ‘have a cup of coffee’ with local Communist Party functionaries. His blog was deleted and he was warned that he might lose his job if he didn’t toe the line. A few days after my lunch with Xiao Zhang, I met the daughter and son-in-law of wealthy friends who had invited me for dinner. This charming young couple who have had everything provided for them – including an education abroad – will never have to work hard for a living (Chinese people refer to these folk as ‘Fuer dai’ – the rich second generation). Surprisingly, this privileged couple also volunteered criticism of Xi Jinping and the one-party state. Balanced against this however, are the tens of millions of ‘laobaixing’ (ordinary Chinese people) who struggle for a living and who have no interest in politics. These realists just want to get through life as best they can. Life is hard enough as it is. They’ll be the first to lose their jobs though, when China experiences its first Western style capitalist recession. Then there will be trouble.